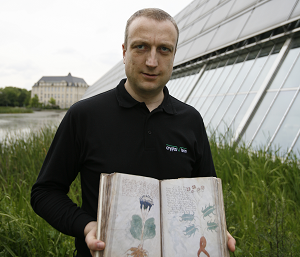 Blog reader Nils Kopal has purchased a copy of a famous 16th century crypto book. Inside he found more than he had expected. Can a reader tell him what these additional texts and illustrations mean? 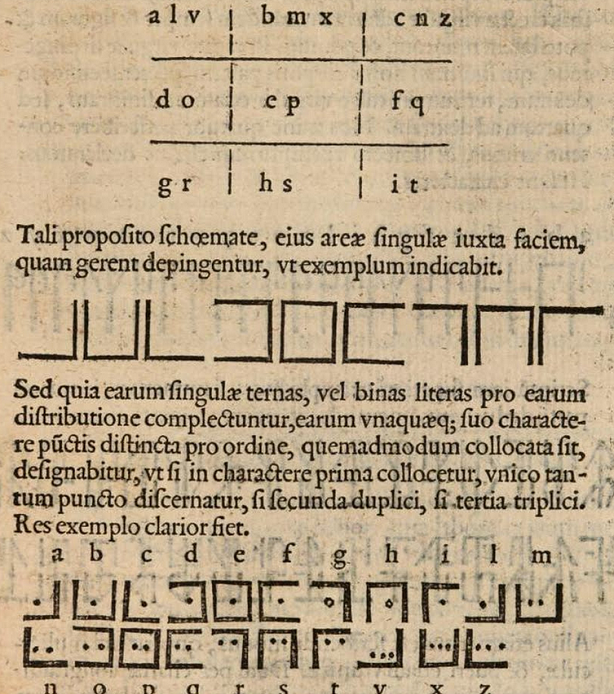 The book De furtivis literarum notis by Giambattista della Porta is generally considered the best cryptology book of the Renaissance era (check here for an online version at Google Books). Porta, a genius and polymath, was an extremely productive author with an interest in agriculture, physics, engineering, philosophy, pharmacology, and cryptology. In addition, he published over 20 theatrical pieces. Some of Porta’s ideas only came into use centuries later. 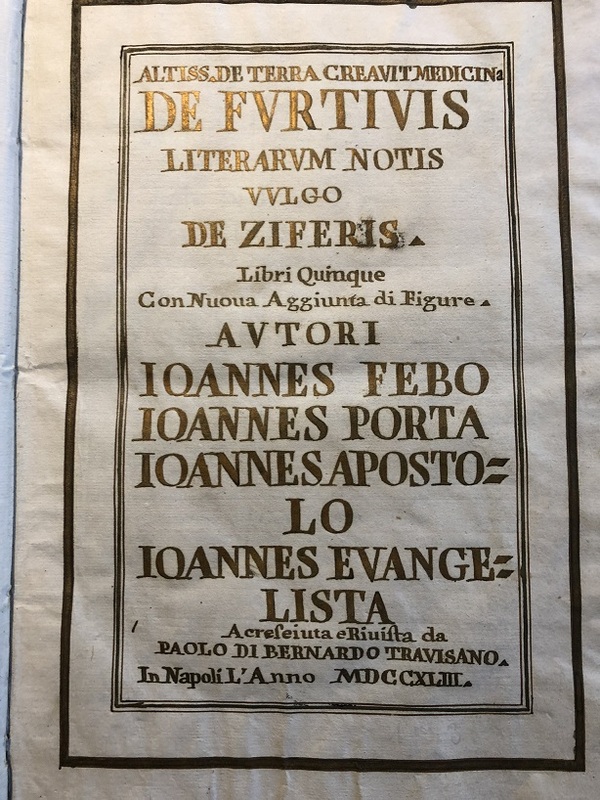 Nils Kopal, crypto history expert, CrypTool developer and reader of this blog, has recently purchased a copy of De furtivis literarum notis. 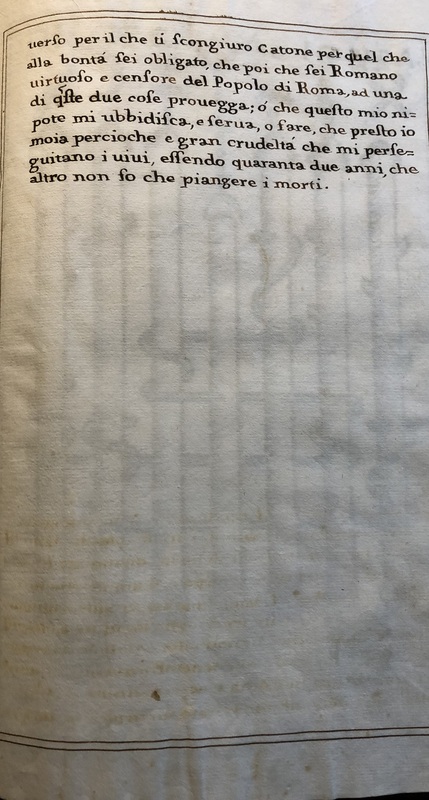 It’s not an original from 1563 but a beautiful reprint from 1743. As far as I can see, these pictures have nothing to do with cryptology. Anyway, Nils and I wonder what they mean. Can a reader say more about these illustrations? 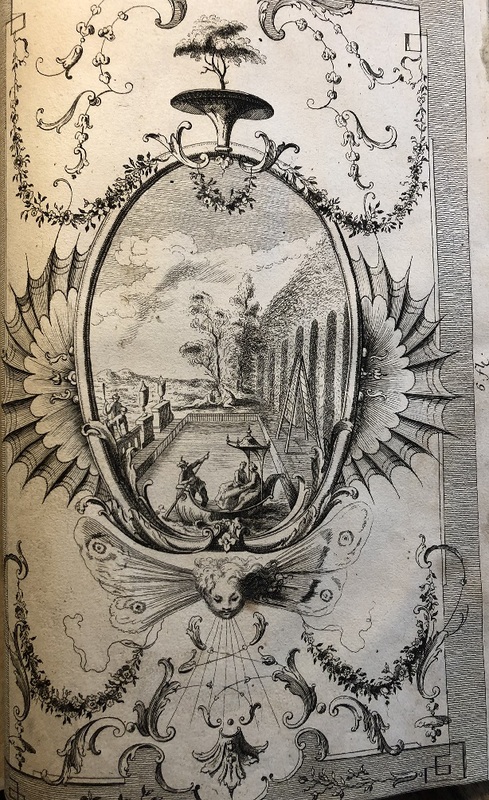 Does a reader know what exactly this treatise is about and what this final illustration means? If so, please let Nils and me know. Further reading: Who can break the cryptograms of Civil War spy Robert Bunch? The last of the four pages looks like something separate from the other three. 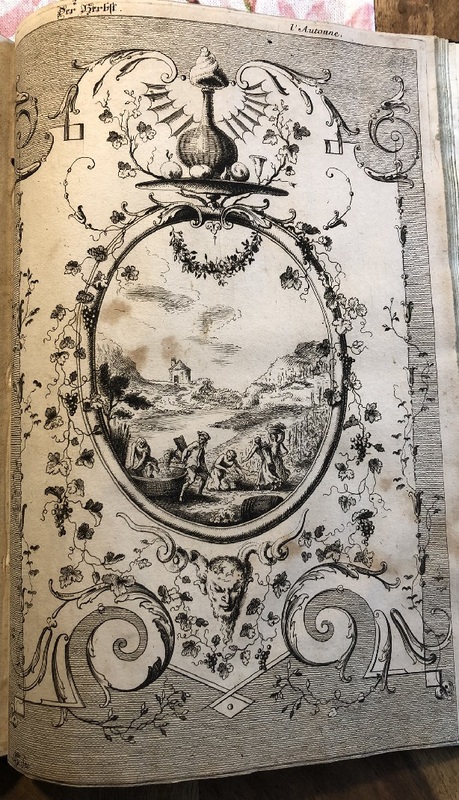 The page’s title is probably the Italian “duodecima figura,” although it could also be the Latin “duodecima figura” or “duodecim a figura” — or something meant to have an ambiguous or universal flavor to it. Those distinctions might not have mattered much at the time. The drawing itself could indicate a transposition key. 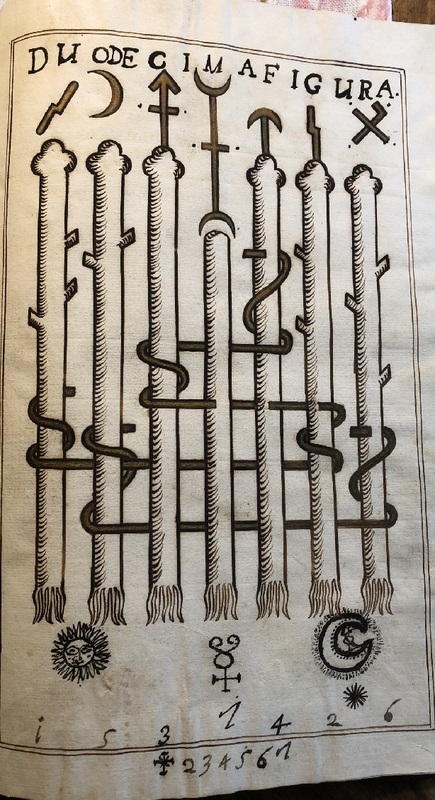 It looks like the two sets of numbers penned at the bottom were a later addition by someone studying the book, and the string “1537426” corresponds to the vine wrappings on the sticks. Too bad there’s no ciphertext to go with this key, if that’s what it is. The drawing itself could indicate a transposition key. 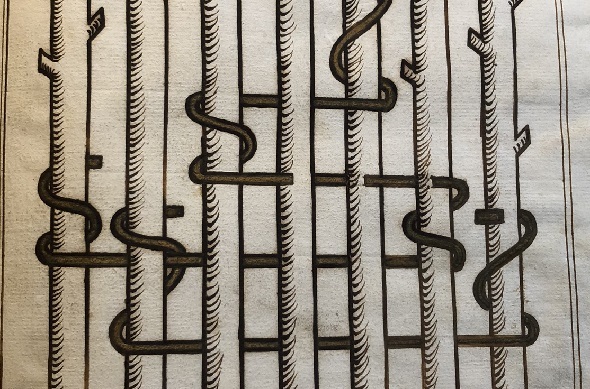 It looks like the two sets of numbers penned at the bottom were a later addition by someone studying the book, and the string “1537426” corresponds to the vine wrappings on the sticks. Too bad there’s no ciphertext to go with this key, if that’s what it is. The images containing the vignettes are engravings (“Spring”, “Summer” and “Fall”) by Johann Christoph Steinberger, a German artist (1680 – 1727). They are held by the Rijksmuseum in Amsterdam. 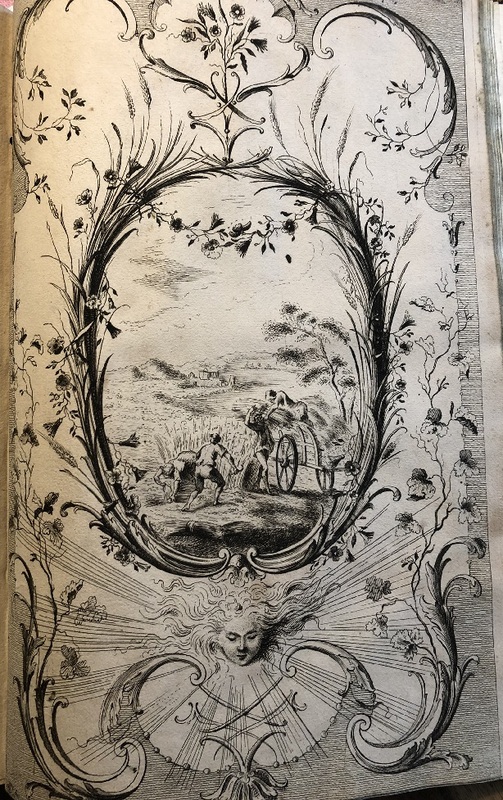 Maybe the 1743 publisher stuffed the then-recent Steinberger art and other miscellaneous items in there just to fill out the back of the book. 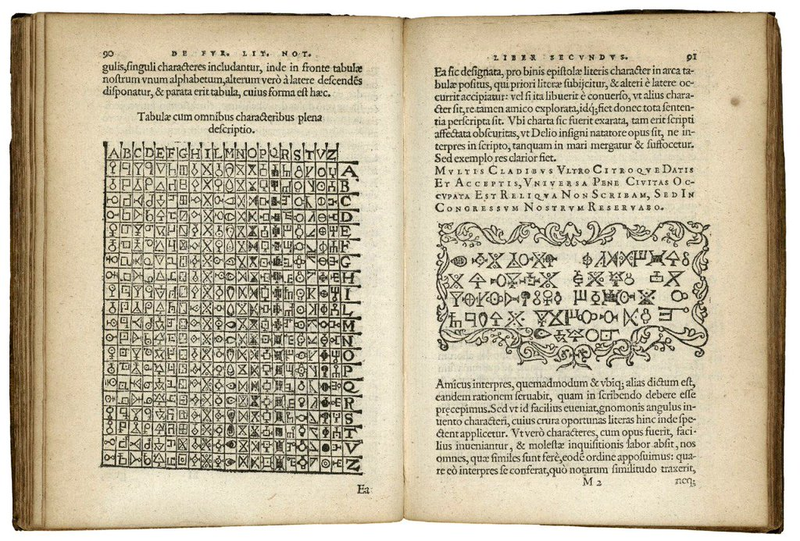 The final “duodecima figura” page might have been included as a seemingly relevant parting shot: an unsolved code or challenge cipher (although it seems more likely to be a key to a missing ciphertext). 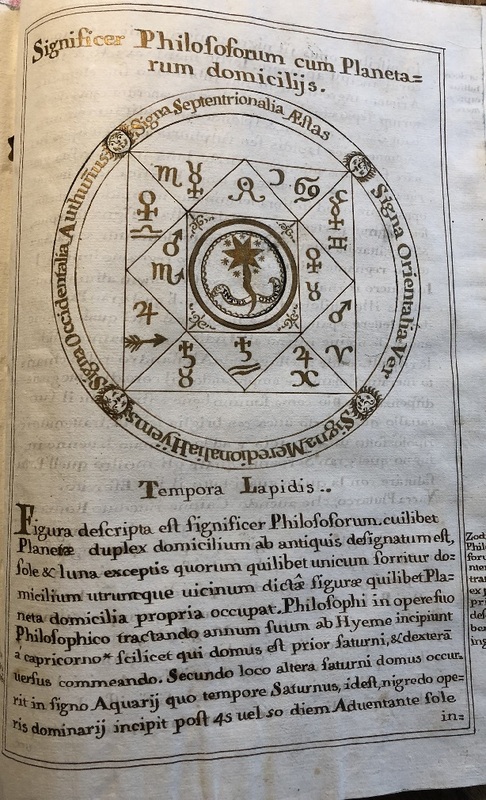 The astrological text (“Tempora Lapidis”) is part of Jean D’Espagnet’s ‘Enchiridion Physicae Restitutae’ (1623). I think the text is from D’Espagnet’s other book, i.e. ‘Arcanum Hermeticae Philosophiae’, not from the ‘Enchiridon’. This is the translation of the Latin part of the ‘Arcanum”: https://books.google.de/books?id=1Ht0DwAAQBAJ&pg=PT269. The subsequent Italian part (after the square brackets) seems to stem from another source, as well as the last drawing. Here is my translation of the text in old Italian. It is unusual how it goes from Latin to Italian so suddenly. Also, the first part doesn’t make much sense to me, and it changes topic twice, suddenly. In the final part about Cato the Censor, there are these numbers: 77-1-1-1-2-5-9-11-3-5-14-7-2-42. All this makes me think the whole text can be a form of steganography. with so many graces, given by God as the highest good and tired was his horse, who had run at full speed, and stopped to rest underneath an oak, asleep, dreamed of that great Serpent who showed him that healthy herb with which he healed his entire Army. suo cavallo quale corso avea con briglia sciolta, trattenutosi riposò sotto una quercia e addormentato li venne in sogno quel gran Serpente quale gli mostrò quell’Erba salutare con la quale guarì tutto il suo Esercito. “duodecima figura” makes sense because in latin it just means “twelfth illustration”, it is used when each illustration in the book has a number, and there are eleven other illustrations before this one. However, the space between letters is unusual, it’s written like “du ode c i m af ig ura”, so maybe there is more meaning to it. Well, it’s clear something is missing. 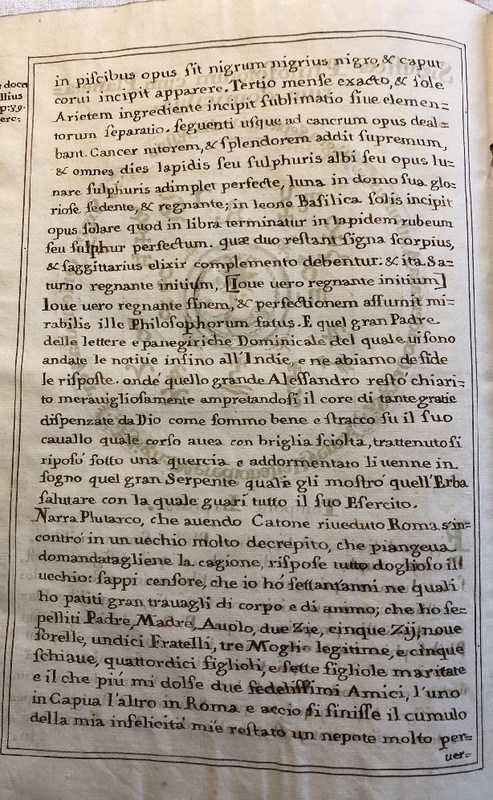 The Italian text holds the cipher text. I quickly went through the main part, so it’s very probable I’m missing letters. But this is the cipher text: PMA Z2 Z5 s9 F11 M3 s5 f14 fm7 A2 C1 R1 C1. Now I would have expected a table somewhere, where you can find the plain text for these. On the other hand the text tells us to do something with the 70 and 42. Perhaps 70-42 = 28. I count 11 (if you omit the last C1) or 12 letters with the mention of a number. The picture duodecima = 12. Is that a coiincidence? Then I tried putting the numbers in a line only. Then you get: beikcengbaaa transposed to ascii, numbers 2	5	9	11	3	5	14	7	2	1	1 1. If you only use the first 11 (beikcengbaa) it van be deciphered exactly to the English word “enchantress”. But that’s probably not correct and you will have to use the sticks and the robe somehow. The numbers below (i,5,3,1,4,2,6) indicate the order of the planets in the solar system, except the moon. Stick 2: Monday – Moon (5) ?